Yesterday I stopped in at the post office in Driftwood. It’s a tiny building with a steel roof and apparently one employee. It has great ambiance and it’s fun to just visit there. Driftwood is a small town between my home and Austin. It has a Methodist church, defunct general store/gas station and a post office. There are wineries, restaurants and small subdivisions nearby as one goes towards Austin but Driftwood itself is as small and rural as it gets. But, as I posited in last week’s post, will it remain rural? This thought reminded me of a post done two years ago that discussed dying small towns. I present it below with some minor edits. 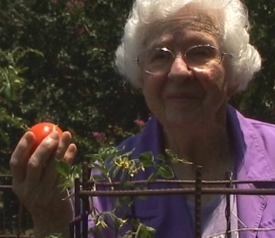 We made a movie about older people in East Texas and one of the subjects was Lois Dyes. She was 93 at the time of this interview and was the oldest person we interviewed. She tells a wonderful story and it all centers on the little town of Melrose, Texas. In addition to her story, I was intrigued by the little town too. It is a dying town. All the stores are closed. Only the two churches (with tiny congregations) and a catfish restaurant are still open. The Dyes family owns the restaurant. Mrs. Dyes taught at the school in Melrose and its closed also. Small towns struggle in the U.S. Many small, rural towns seem to exist on a delicate balance. Just a few stores run by aging owners, no jobs with a career, and maybe a post office. For these little towns just one change in the local equation could cause a major economic shift. Another example. The U.S.P.S. proposed to close thousands of post offices, most in small, rural communities where Internet services are limited and people depend on the post office (Podkul & Stephenson, 2012). People fear that the loss of their local post office would cause the whole town to go (Vogel, 2011). Well, the U.S.P.S. has backed off on closing these small post offices (Liberto, 2012). Communities will have a choice of closing them, having shorter hours or having them privatized and run as “village post offices.” Still, the point remains that small, rural towns are hanging by a thread and their aging residents are running short on options. It’s not just about services for the elderly either. Rural life offers a quality of life that is closer to nature, where people are friendly, and the air is clean. Qualities not to be lost. Keen, J. High gas prices threaten to shut down rural towns. USA Today, July 2, 2008 (http://www.usatoday.com/news/nation/2008-07-01-small-town-gas_N.htm). Liberto, J. Ax won’t fall on rural post offices. NNMoney, May 9, 2012 (http://money.cnn.com/2012/05/09/news/economy/postal_service/index.htm?hpt=hp_t2). Podkul, C & Stephenson, E. Towns go dark with post office closings. Reuters, Feb 24, 2012 (http://www.reuters.com/article/2012/02/14/us-usa-usps-idUSTRE81D0M620120214). Vogel, E. Residents say closing post office would kill small Nevada town. Las Vegas Review-Journal, Oct. 24, 2011 (http://www.lvrj.com/news/residents-say-closing-post-office-would-kill-small-nevada-town-132424078.html). Based on the post from week 59 – Lives Lived in East Texas, Part 3 – Old People, Old Towns. Join us for a live discussion about this post on Friday at noon. Link to the meeting room in the virtual world of Second Life: http://tinyurl.com/cjfx9ag. Also, see Discussion and SL tabs above for details.